Hailing from Alexandira, Egypt- the undeniable center of Hellenistic knowledge – Katherine was the beautiful and intellectual daughter of Constus, a governor of Egypty during the reign of Roman Emperor Maximian(305-312). She received and excellent education, studying the works of Antiquity’s greatest philosophers and teachers. 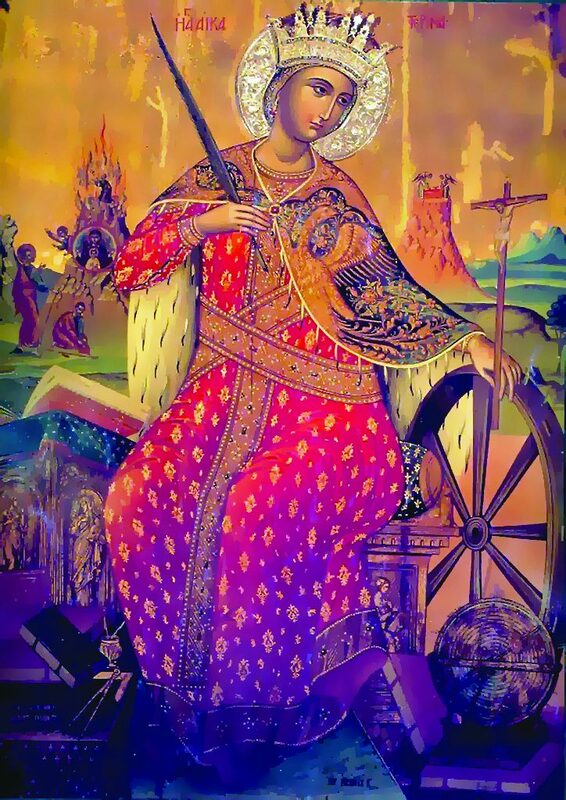 Soon after Katherine Converted to Christianity, Maximian attended a pagan festival in Alexandria where a great many sacrificeds were put forth, inclusive of the bodies of Christians who would not deny Christ. Katherine introduced herself and then confused her faith in the One True God. Her beauty captivated the Emperor. To win her overm he ordered 50 of the Empire’s most learned philosophers and rhetoiciansto debate her. Instead, through her words they came to believe in Christ and so, were all burned alive by his orders. Saint Katherine traces its roots back to 1965 when nine Merritt Island residents sought to create a new Parish. 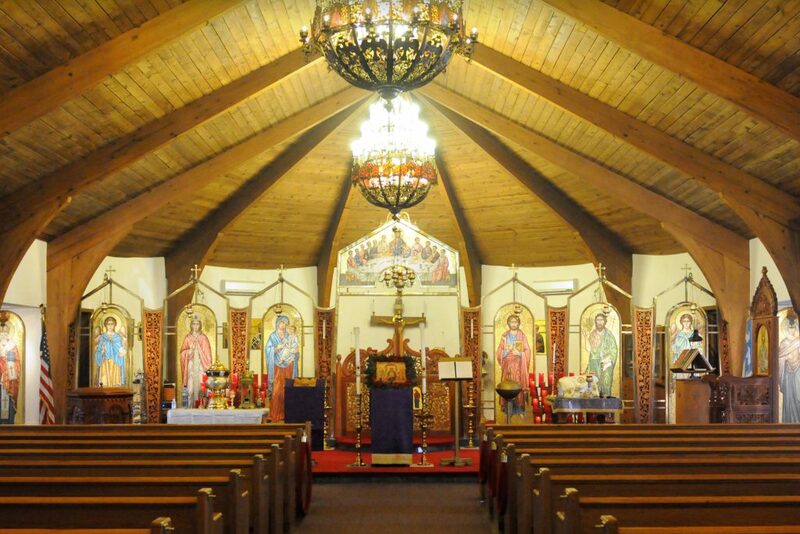 By 1966 their charter was signed and approved by the Greek Orthodox Archdiocese – Diocese of Atlanta, setting out a future for the Greek Orthodox Community in Brevard. With their Charter secured, the young Parish began fundraising quickly for a community center in Melbourne and found, along a quiet stretch of a then two-lane Wickham Road, a few acres of land nestled amongst idyllic pine forests and cow pastures. The growing community purchased an additional acre a few years later, building a Community Center and later, a village-style Church and Education Building. Today the campus occupies nearly six acres. The Hellenic Community Center, which still stands today, was completed in the Spring of 1968 and was used as both a social hall and the Church on Sundays. The fi rst service was conducted on Pascha (Greek Easter) of that year. Soon thereafter, design and construction began on the current Church building and sanctuary, built with the sweat-equity of many parishioners who still attend St. Katherine to this day. The Church’s design was abstracted from the village churches in Greece and employs glue-laminated structural supports which were prevalent in the architecture of that period. 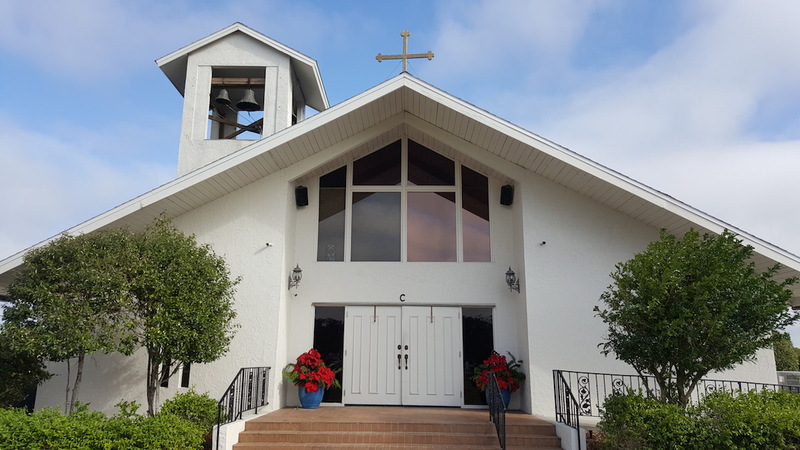 The Greek Orthodox Church of Brevard County, incorporated in the State of Florida in 1974, adopting the original 1965 Charter established by the Hellenic Community Center. In June of 1980, Saint Katherine Greek Orthodox Church became its official name and in the decades that followed, liturgical accoutrement (including the brilliant Byzantine-style mosaics of internationally famed Italian iconographer Sirio Tonelli) were added to its interiors, layering them with the Church traditions set forth for centuries. 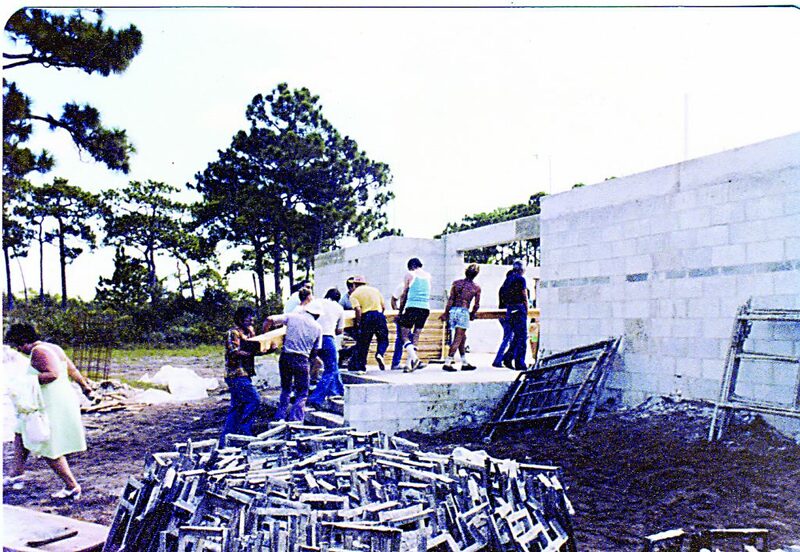 From those early days, our Greek Orthodox community has grown to well over 200 families from across three Counties and as we plan for our future with an enlarged Community Center and landscaped campus grounds, we are also designing the Orthodox Garden Estate & Pavilion Chapel at Florida Memorial Gardens. Envisioned as a place of peace, rest and repose with built objects and landscape in conceptual and physical dialogue, it respects and represents our 2000 years of history in the most Orthodox of ways.